This was a momentous week for Beer N Biceps, our humble little podcast received its 1,000th download (we’re currently at 1,031) and we have had over 700 unique listeners. These numbers are NOT that impressive, but considering the completely amateurish approach we have demonstrated, and our very low goals, we are both extremely happy. Thanks to everyone who has listened. This week we discuss the benefits of sleep, review a Cherry beer by Bacchus, and talk about our top 5 most overrated beers. You’re probably aware of some of the many benefits of sleep, particularly if you only managed to sleep a few hours last night. If that happened then you have probably been feeling grumpy, tired, low energy, and hungry. What’s that? You weren’t aware that a lack of sleep could increase hunger? Well it can. After a bad night’s sleep your body tends to increase a hormone called Ghrelin which is responsible for stimulating appetite. This increase can lead to you feeling more hungry than usual, and feeling hungry more often than usual. Your body also reduces the amount of Leptin that you produce, this is a hormone that is responsible for satiety (just like Peptide YY which we talked about in our decaffeinated coffee article). Lowered Leptin can result in you requiring more food to feel full. Which obviously will lead to overeating (unless you are very careful). This theory was confirmed in a study by Taheri et al in 2004 . Another study, by Hanlon et al in 2016 found that a lack of sleep can produce a similar affect on diet as smoking canabis . 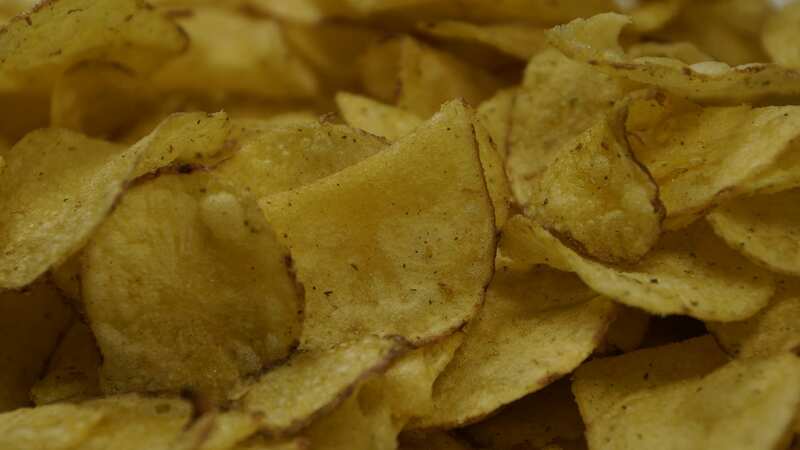 It found that after a few nights of severely restricted sleep, participants tended to reach for snacks that had twice as many calories as they did when fully rested. They also looked for foods that were higher in fat and in carbohydrates (the bodies preferred fuel source). It’s not just that the symptoms of lack of sleep and smoking weed have the same effects, they actually activate the same receptors as marijuana which leads to “hedonic eating”. So if a bad night’s sleep can lead to overeating, then it would be fair to say that one of the benefits of sleep would be appetite regulation. When you sleep well you are less likely to eat junk food, or overeat during your main meals. Sleeping badly makes you cranky, that’s not just an opinion – it’s a scientific fact. A study by Mah et al (2007) on Collegiate athletes found that the more sleep you have the better your mood is . On a similar subject, good sleep can also improve cognitive function (how well you think). This means that you can make decisions quicker and more decisively, your short and long term memory will be better, and your puzzle solving abilities will be greatly enhanced. This can help you at school/uni, at work, or in the gym. It can also obviously have massive effects on the sports field, which is why the big Premiership teams have all installed state of the art sleep pods. As we touched on in the last point, sleep can massively improve performance in the gym and in sports. Another study by Mah (2011) looked at the effects of extended sleep on basketball performance in Collegiate players . The study found that when players slept longer than usual they played better, had improved reaction time, increased endurance, increased power, reduced fatigue, and a whole host of other benefits of sleep. While sleeping more won’t increase your testosterone levels, it will prevent them from dropping. A study on Asian men found that those who slept less tended to have significantly lower testosterone levels than their well rested peers . As increased testosterone levels can lead to improved body composition, improved mood, increased libido, reduced body fat, increased strength and hypertrophy, you can see why getting your 8-9 hours per night is a really good idea. But that’s enough on the benefits of sleep, let’s get onto the good stuff. It’s time for our beer of the week! This week’s beer was a complete surprise to me. Firstly because I would never have expected Todd to have chosen it (turns out he let his dad pick it), and secondly because I really expected I’d hate it. 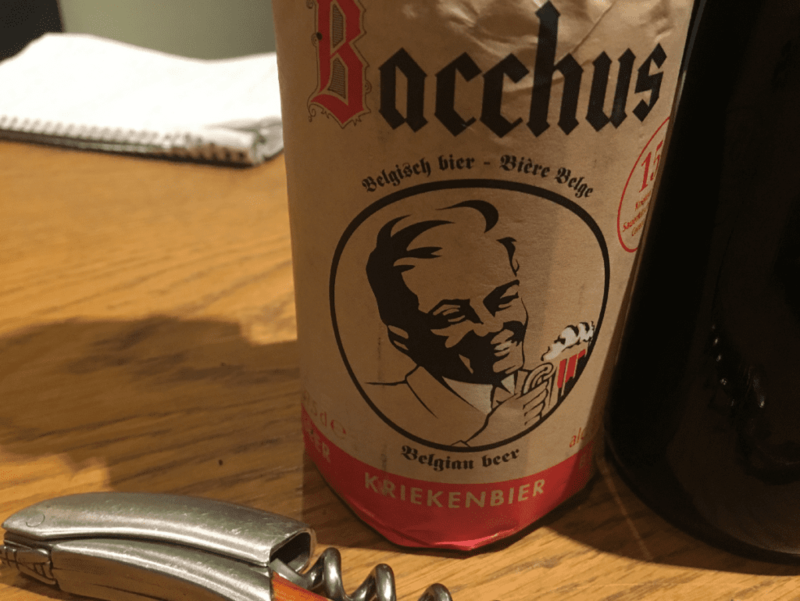 I have a love/hate relationship with fruit beers, and I first mistook Bacchus for a Lambic beer (similar to Cantillon’s Kriek beer). My trepidation increased when I read that it was a sour beer, I hate sour beer! But my first sip completely changed my mind, it was gorgeous. Normally fruit beers taste nothing like the fruit they purport to be, but this is one of those rare cases where the beer tasted exactly like it was supposed to. Todd talks about the history of the brewery in the podcast and it is definitely worth a listen. The brewery has been around since 1865 but was renamed in 1953 (which caused Todd and I some confusion on the podcast). The beer won’t be to everyone’s taste (but what beer is? ), but it feels like the perfect Summer beer. It would also be really good for any long suffering partner who has been dragged to a Belgian bar by their beer-loving significant other. One of the first things that we made clear in the podcast is that this is not a list of beers that we don’t like. It is a list of beers that we think are overrated. You can like a beer while still thinking that it is overrated. Basically every beer on this list is a nice beer, and if you offered either of us one of them in a pub we would drink them. The first beer that we talked about was Grolsch, something that I order often whenever I see it. But I mainly buy it because it comes in a cool bottle! Take Grolsch out of the bottle and pour it into a regular glass and I would think of it as a very average lager, nothing special at all. I also find that a lot of Belgian beers in particular are improved by the glasses that they come with. Serve them in a regular glass and suddenly they seem quite average. I bought my dad a Kwak beer for his birthday with the proper glass, and the beer is excellent. But would it taste as nice if it was served in a regular glass? Whilst shitting on Grolsch I also took pot shots at other dutch lagers (Heinekin, Amstel, Becks). All very popular, but in my mind a little overrated. This does not mean I don’t like them, nor does it mean that dutch beer is bad. I just feel that a lot of these mass produced lagers are starting to feel a little dated when we look at the current beer scene. Next we turned our attentions to cubanista (rum infused) beer. Not terrible, but not great. Innis & Gunn also do a rum infused beer, and it’s just not my cup of tea. I like Rum, I like beer, but I don’t like them together. It feels like everyone is trying to copy Desperado, the only spirit infused beer that seems to work. We also added Cobra beer to the list. It’s everywhere in England thanks to Indian Restaurants, but it’s not even the best Indian lager (my personal favourite would be Mongoose). Then Todd added Guinness, which I can understand completely, even though Guinness is one of my favourite beers. It’s probably one of the top 5 biggest selling beers in the world, but it’s not even that great as a stout. It is mostly sold around its history and its connection to Ireland. There’s a romance there, and it’s quite bland so most people find it easy to drink. I love it, but I definitely don’t think it is one of the best beers in the world. Todd added Frulli to the list, which is very similar to the Bacchus beer we were drinking (though strawberry flavoured). Personally I really like it, and have fond memories of trying my first. But it’s definitely a one beer drink if you know what I mean. You couldn’t drink 5 in a night! We mentioned a couple more, but the ones we listed here are the main ones. I’ll reiterate the fact that we enjoy all of these beers, and don’t think they’re terrible. They just aren’t as amazing as their reputation makes them out to be. In our next podcast we will be finally measuring Todd, and reviewing our goals. It’s going to be quite a laid back podcast where we will talk honestly about what we think has gone well, and what hasn’t. We will as ever have an awesome beer to sample, and hopefully we will have another great topic of conversation for the beer! So hopefully you have learned a lot about the benefits of sleep, and you will now GO TO BED!